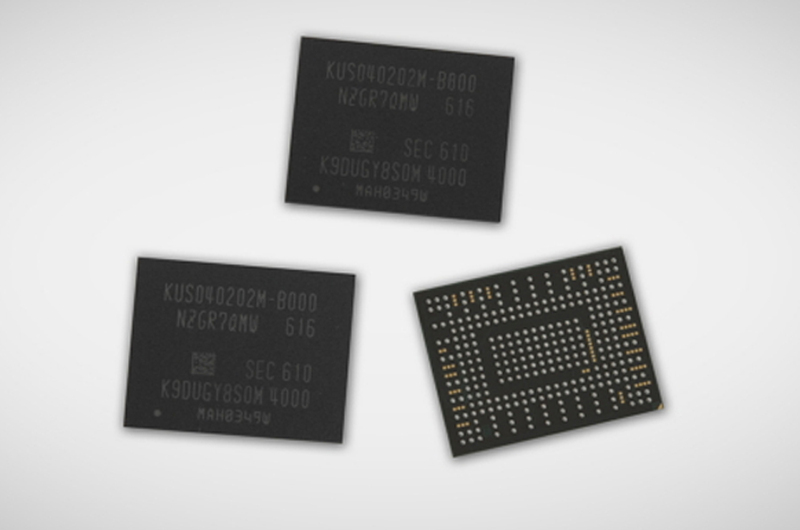 In a blog post, Samsung Newsroom announced that they will be creating one of the most powerful SSD drives in history, dramatically increasing and minimizing chip size for mobile phones in the future. If you’re interested in a more powerful, faster-processing phone or PC, you’ll be excited to hear about the newest PM971 NVMe SSD created by Samsung, which combines the power of 16 older 256 gigabit drives, providing far more power for users to enjoy (as well as more computing power for apps, programs, and features). Samsung has guaranteed up to 1,500 MB of pure writing speed (900 MB when using TurboWrite). This would allow a 5 GB movie or game to be downloaded in just about 3 seconds. You’d also be able to read and write input operations at speeds around 190,000 and 150,000 (depending on the device). In comparison, modern drives deliver about 120 IOPS; meaning that the newest Samsung processor is over 1500 times faster than the old HDDs. Expect these chips to be available in 512 GB, 256 GB, and 128 GB card sizes (which could mean a drastic raise in price due to storage) but they should be developed enough to be integrated into new phones by next year. Samsung is known for having some of the most powerful SSD cards in the industry. They produced the last “fastest SSD” two years ago, according to their blog; and they haven’t looked back since.